Before she discovered long-haul potential of the bicycle, Wilcox was a bike commuter (she doesn’t drive and only got a driver’s license because it was required for a pedicab job). One day, she was going to ride the bus to visit her sister, but didn’t have the fare. So, she decided to ride her bike from Tacoma to Seattle. She and her boyfriend worked for the summer to save money, then set off on their grand tour. They’d ride for a few months, find seasonal jobs, save money, and repeat. They capped off their seven-year sojourn bikepacking through Eastern Europe, South Africa, and the Middle East, ending in Israel with a tour of the route for The Holy Land Challenge. Wilcox entered the challenging 900-mile race—complete with her touring bike and tennis shoes—and shocked herself by performing much better than she expected. “I knew I didn’t get tired, but I didn’t know I could race,” she says. 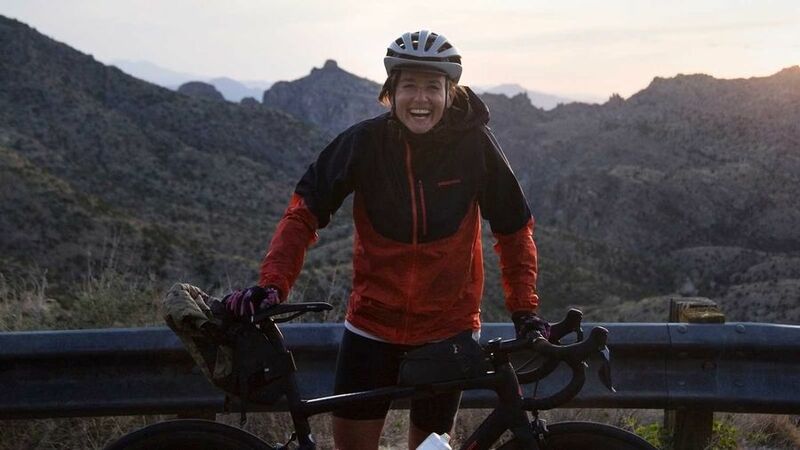 Inspired, she flew back home to Anchorage, then hopped on her bike for a 1,900-mile ride from Anchorage to Banff, Alberta, where she then started the Tour Divide (2,745 miles from Banff to New Mexico) and set a new women’s course record. The following year, in 2016, Wilcox won the Trans Am Bike Race, a self-supported race across America. After a hard season of racing, she and her boyfriend went to Baja, Mexico. “I just wanted to rest and not even ride,” she says, but, of course, they brought bikes. After riding “mellow” for about a week and falling in love with the terrain, they began putting together a route for others to enjoy. The result is the Baja Divide, a 1,700-mile bikepacking route from San Diego, California, to San Jose del Cabo, Mexico. And yes, Wilcox has the fastest known time for the route. Wilcox, who works seasonally as a guide at endurance bike camps, is now ramping up for a summer of races, including what she calls “shorter” 600-1,300 mile events in France, Nevada, Switzerland and Kyrgyzstan. You can follow her adventures on her blog, Lael’s Globe of Adventure. Not many people can say they rode a great white shark, but professional free diver Kimi Werner can. She began free diving at the age of five, when she would swim with her father while he fished for the family dinner. As Werner grew, her family became less tied to the ocean. Werner went to culinary school and began working in restaurants. She began entering spearfishing and free diving competitions, and won the U.S. National Spearfishing Championship in 2008, along with many other competitions and world records during her career. Yet when she realized competition was dulling her love for the sport, she opted to walk away from free diving and became a chef. Eventually, though, she returned to the water on her own terms. 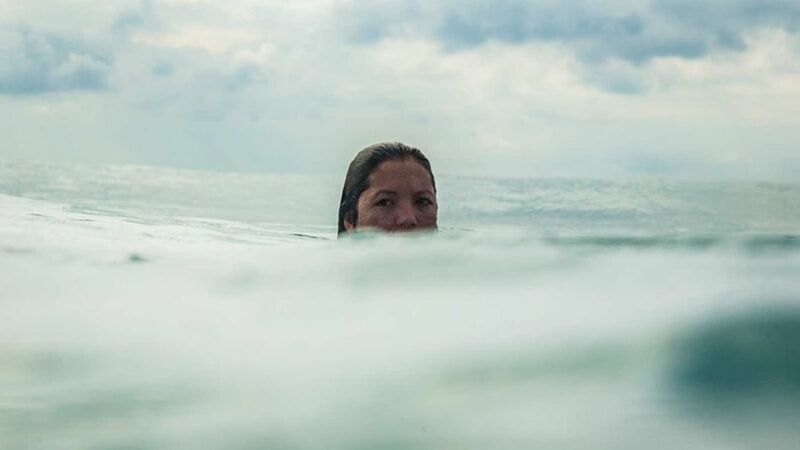 She now dives and spearfishes one or two days a week, but is in the water as often as possible, swimming, meditating (yes, in the water), and surfing daily if she can. Free diving is her ticket to travel the world promoting environmental advocacy and sustainable fishing, working with scientists, and learning all she can about other cultures. What’s next for Werner? In addition to TV projects and speaking engagements, one hope is to swim with an Orca in the wild. We’ll be diving in—vicariously, of course—when she does. “I never say I ‘have’ to train. It’s more like, ‘Hell yeah, I get to be outside!’” says the mountaineer and ultrarunner. After college, Mahon moved to Aspen from Denver because she wanted to live in the mountains, not just near them. She says moving to a community that inspires people to get outside and challenge themselves inspired her to do more. She also found her ideal adventure partner, Ted Mahon, who is now her husband. 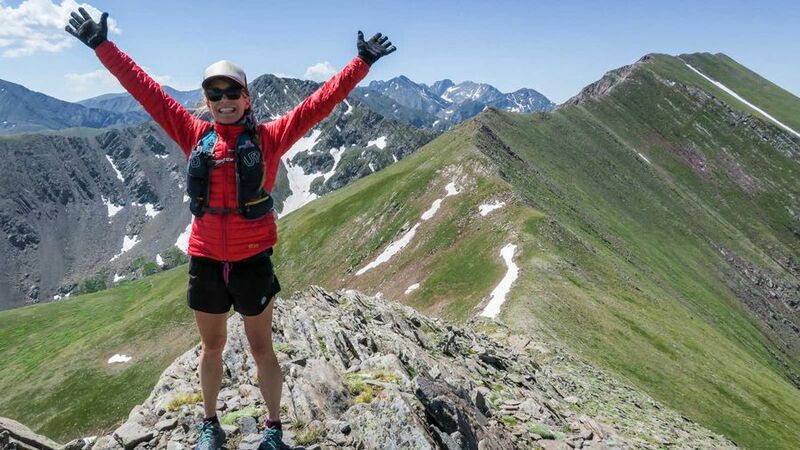 She began hiking and skiing 14ers (peaks over 14,000 feet high) and running marathons, then turned to trail racing, eventually making her way to ultra distances, including 100-milers. In 2016, the Mahons, with Chris Davenport, were named National Geographic’s Adventurers of the Year after the trio completed their Centennial Project, hiking and skiing the 100 tallest peaks in Colorado. Christy, who was also the first woman to ski all 54 of Colorado’s 14,000-foot peaks, says the honor still feels surreal. Winters are now spent on the “Bicentennial Project,” hiking and skiing the 200 tallest peaks in Colorado. As for this summer, Mahon is training for a couple of ultras and plans to run the Wonderland Trail (around Mt. Rainier in Washington) as well as circumnavigating Mont Blanc through France, Italy, and Switzerland later this year. Allen could be considered the Indiana Jones of the mountain, ultra, trail (MUT) world. An accomplished pro runner, Allen tackles the world’s tallest and most treacherous peaks while holding down a day job teaching physics, chemistry, and biology at Front Range Community College just outside Boulder. It’s a bit of a double life, but one that gives Allen the balance she seeks. Her star rose quickly in the sport, and Allen learned early on that the more technical and tough the terrain, the better her results. That’s why she began focusing on skyracing, an extreme form of trail running that requires a certain amount of elevation gain (and descent). Races in the U.S. are typically held at ski resort mountains, and the most prestigious skyracing events take place in Europe. Allen was racing the European circuit last August, when she nearly fell to her death at a race. 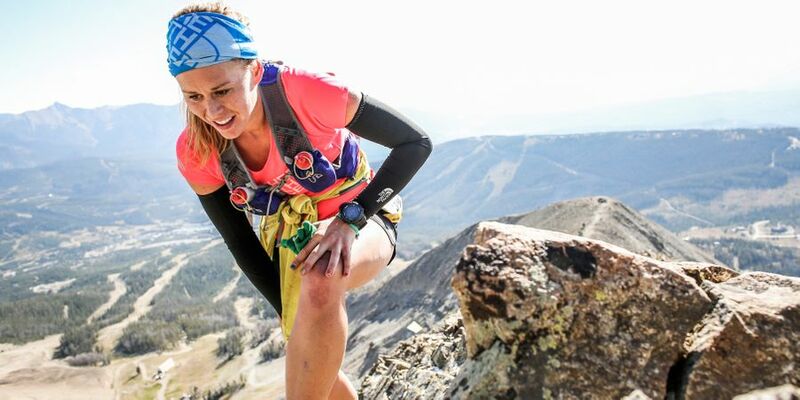 She was racing the Hamperokken Skyrace 50K in Norway and crossing a narrow ridge when she tumbled 150 feet down the side of the mountain. Allen doesn’t remember what caused her fall, but does recall that in an instant she went from enjoying herself and even upping her pace, to thinking, you need to brace yourself, you’re going to die. She sustained an extensive list of injuries, including two broken bones in her back, two broken ribs, lacerations “everywhere,” hundreds of stitches, two broken arms, a sprained left ankle, and a “popped” ligament in her right foot. Her recovery has included multiple surgeries on her arms (with the addition of permanent connective plates) and foot, including a recent one to remove screws inserted earlier to provide stability as she healed. 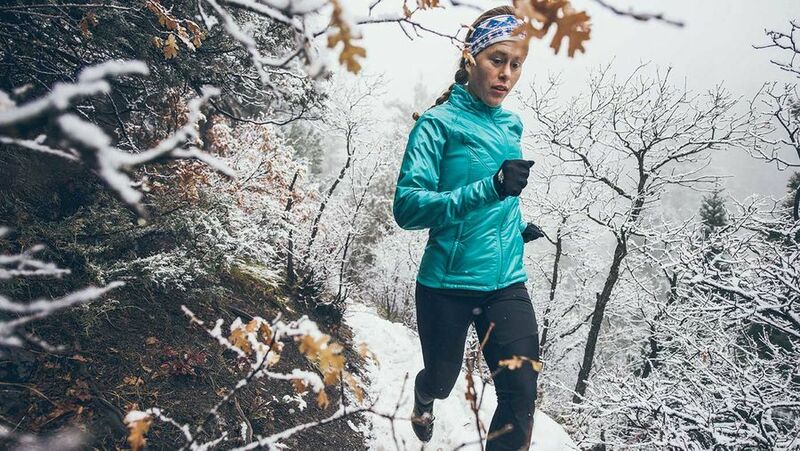 Doctors told Allen she would never be able to run again, but she is back on the trails. While most of her Instagram posts (@hillygoat_climbs) are imbued with her infectious smile, she’s been refreshingly honest about the struggles, doubts, tears and pain associated with the recovery process. Her goal now is to be a stronger and better runner than she was before her fall. As for when she’ll officially return to racing, the sparkle in Allen’s eye is a giveaway that she has something in mind, but she wants to make sure the timing is right and her body is ready, not just to run, but to win. Weekends are for racing and long rides for Connors, a professional mountain biker and high school math teacher. Yet, even though she won the Leadville Trail 100 MTB last year and the Belgian Waffle Ride a couple times, along with many other top finishes, her high school students think she has room for improvement. Connors started mountain biking and racing in high school and on the road racing collegiate circuit while at UC Davis. 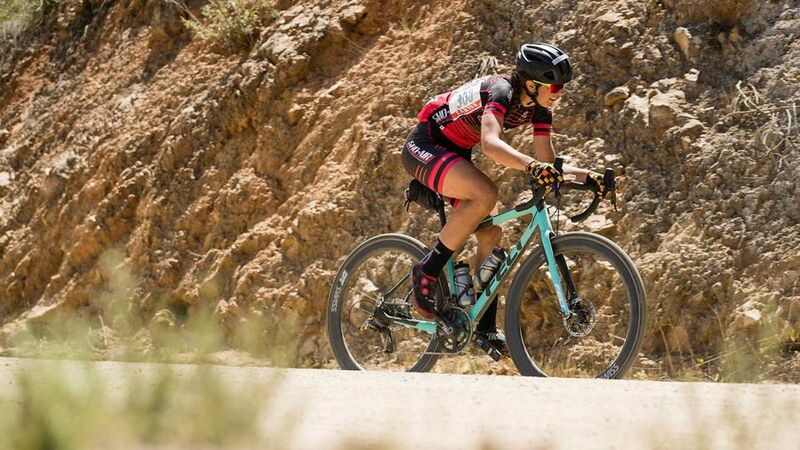 After graduating, she and her now husband, an engineer at Felt and designer of her current racing bike, moved to Southern California, and she switched back to mountain biking. More races and lots of trophies followed. Eventually her husband told her if she was racing for the trophies, he would buy her trophies, otherwise it was time to go pro. Connors has a packed racing calendar for the summer. Not only is she determined to defend her title at Leadville, she wants to win the National Ultra Endurance Series.